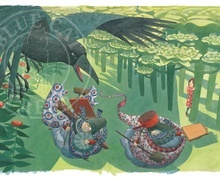 Kestutis Kasparavicius produced this image for a Lithuanian translation of the Hans Christian Andersen story; Coliuk was published in 2005. 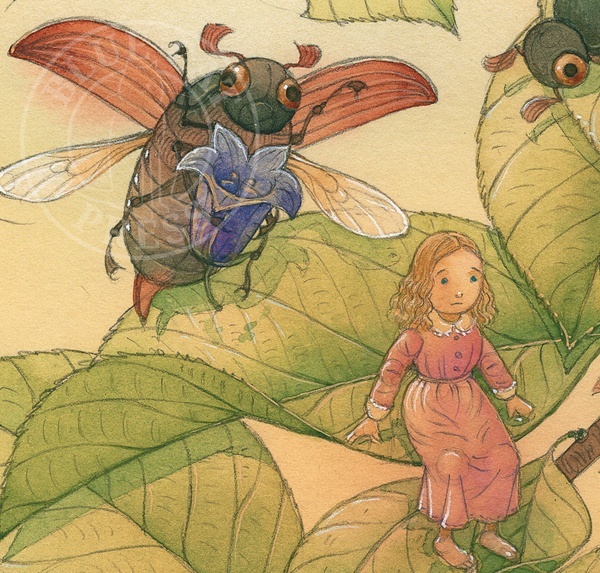 The artist told us here at Eliza's market that he regards the set of illustrations he produced for this story as perhaps his finest artwork. 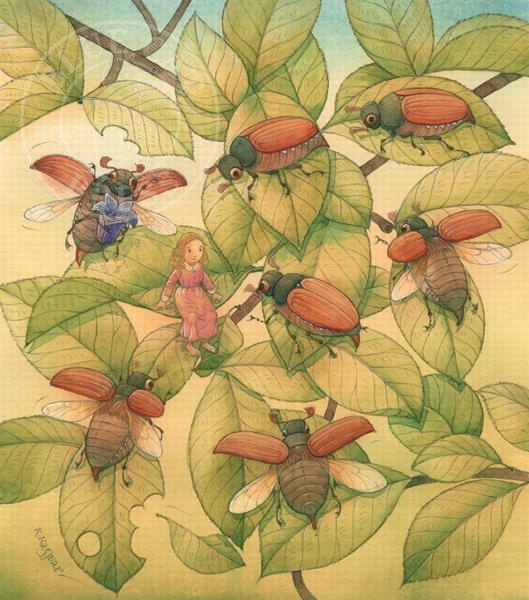 The daintiness of little Thumbelina against the solidity of the cockchafers seems to highlight her despair at being kidnapped in this delicate illustration by Lithuanian artist Kestutis Kasparavicus. 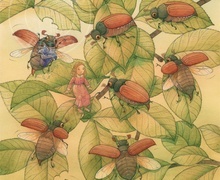 The daintiness of little Thumbelina against the solidity of the cockchafers seems to highlight her despair at being kidnapped in this delicate illustration. 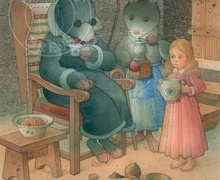 This ORIGINAL WATERCOLOUR painting on paper is by Lithuanian artist Kestutis Kasparavicus. 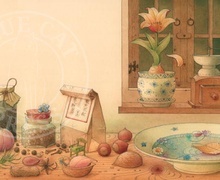 Framing: Supplied with a warm ivory mount and backing board to fit a standard 13" x 15" frame.